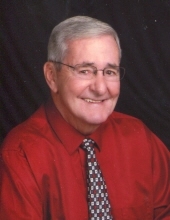 Goldsboro-Robert Dale (Bob) Bloodsworth, 82, peacefully passed away on Friday, February 1, 2019 at his home surrounded by his family. Born April 28, 1936 in Baltimore, Maryland, he was the son of the late Arthur Dale Bloodsworth and Flossie Walters Bloodsworth. Bob proudly served his country in the United States Air Force and retired after 22 years of service with the rank of Master Sergeant. After his military career, Bob began working with General Electric and later retired after 18 years of service. He also worked with the Merci Disaster Relief Center in Rosewood for 10 years. Bob had been a member of Daniels Memorial United Methodist Church and was most recently a member of Pine Forest United Methodist Church where he was a member of the Friendship Sunday School Class and the Methodist Men. Bob was an avid Duke Basketball fan and found the simple pleasure in watching Duke win a game or almost equal: a loss by the Tarheels. He was a proud supporter of the second amendment and just renewed his concealed carry permit. The family will receive friends Monday, February 4, 2019 from 1:00 – 2:00 p.m. in the fellowship hall at Pine Forest United Methodist Church followed by a service to celebrate Bob’s life at 2:00 p.m. in the sanctuary with Rev. Madison Hankal and Rev. Billy Olsen officiating. Burial with military honors will follow at Evergreen Memorial Cemetery. Bob is survived by his wife of 27 years, Karen Bloodsworth (His Weezy); children, Robert Bloodsworth, Jr. (Lynn), William Bloodsworth (Cathy Dugan), Ginger Hutchison (David), Robert “Rob” Teasley, Jerry Teasley, and Kevin Teasley (Megan); grandchildren, Kimberly, Jessica, Joseph, Brittani, Cameron, Victoria, Joshua, Spencer, Zachary, Ethan, and Cole; great-grandchildren, Roxas, Chase, and Aaron; brother, Gary Bloodsworth (Jan) and nieces, Kimberly and Chrissie. He is also survived by his special friends, Mr. and Mrs. Gordon Aycock, Bruce and Becky Weisiger, and his lunch bunch. In addition to his parents, he was preceded in death by his first wife of 30 years, Marlene Hall Bloodsworth and sister, Judith Bull. In lieu of flowers, memorials may be sent to the Pine Forest Endowment Fund or the Friendship Sunday School Class at Pine Forest United Methodist Church, 867 NC Hwy 581 S, Goldsboro, NC 27530. To send flowers or a remembrance gift to the family of Robert Dale Bloodsworth, please visit our Tribute Store. "Email Address" would like to share the life celebration of Robert Dale Bloodsworth. Click on the "link" to go to share a favorite memory or leave a condolence message for the family.